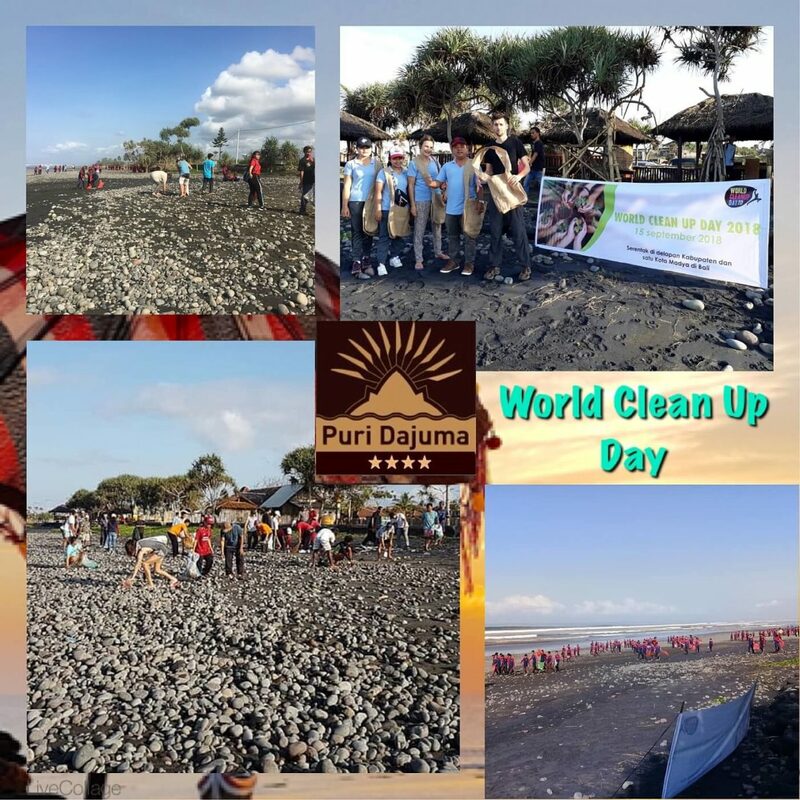 As waste management is progressing in Bali, Puri Dajuma took the opportunity to be an actor in Jembrana regency on the occasion of last Saturday’s worldwide “Clean Up Day”. Located just after the well known Medewi surf break, Yeh Sumbul’s large beach was the place chosen for this event. Here gathered in a friendly atmosphere, villagers, hotels employees from Pekutatan and Medewi, guests, students and teachers from the Junior High school. After they added pieces of garbage on several heaps, the participants had some food and beverage while listening the speeches from the authorities about the sense of this great day. On the picture the Dajuma team wears its large specific juter bags made on purpose to replace plastic bags.